The 2014–15 Lega Pro was the first season of the unified Lega Pro division in place of the old Prima Divisione and Seconda Divisione. The league is composed of 60 teams divided into three different groups of 20 each. A total of 60 teams will contest the league, divided into three groups of 20 teams. Originally, teams would include 4 sides relegated from the 2013–14 Serie B season, 29 sides playing the 2013–14 Prima Divisione season, 18 sides playing the 2013–14 Seconda Divisione season, and 9 sides promoted from the 2013–14 Serie D season. In the middle of last season Nocerina was expelled from Lega Pro (on 1 August was admitted to Eccellenza); on 15 July 2014 CoViSoc expelled Padova and Viareggio due to financial reasons; on 1 August 2014 FIGC admitted 3 teams that were relegated in the last season, thus the league included 3 sides from 2013–14 Serie B, 27 sides from 2013–14 Prima Divisione, 21 sides from 2013–14 Seconda Divisione and 9 sides from 2013–14 Serie D.
On 13 June 2014, 59 teams had mathematically achieved qualification for the 2014–15 season. On 1 July 2014, all 59 teams had submitted the application for a license for 2014–15 season, with 8 teams did not submit the required bank guarantee, including Padova. Moreover, Viareggio submitted a guarantee that would not comply with the new regulation passed in May 2014. Correggese, the Serie D playoffs winner, did not submit an application. On 15 July 2014, the deadline of submission, Padova failed to submit the bank guarantee and were declared bankrupt, while 7 teams had submitted in time. On 18 July 2014 the appeal of Viareggio to the exclusion had failed. 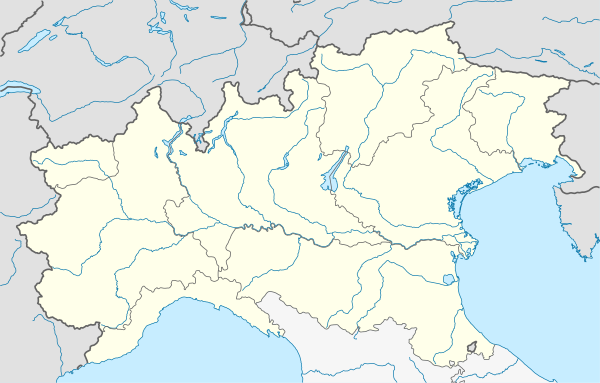 On 1 August 2014 the Federal Council admitted to Lega Pro Aversa Normanna, Martina Franca and Torres, the 3 teams relegated in 2013–14 Seconda Divisione. One more vacancy was created in August after the Italian National Olympic Committee Court of Appeal agreed upon an appeal from Novara, who requested the 2014–15 Serie B season should feature an even number of teams (22) instead of the originally scheduled 21 ones; after this appeal from Novara, Vicenza was admitted to 2014–15 Serie B and Arezzo replaced it in Lega Pro group A. 1Giana Erminio played most of the season in the Stadio Brianteo in Monza while their home stadium was renovated. ^ Novara was docked 8 points due to financial irregularities, later reduced to 3. ^ Pavia was docked 1 point due to financial irregularities. ^ Mantova was docked 3 points due to financial irregularities. ^ Monza was docked 6 points due to financial irregularities. At the end of season a phoenix was admitted to Serie D due to bankruptcy of the original club. ^ Pordenone was readmitted to Lega Pro to fill the vacancies . ^ AlbinoLeffe was readmitted to Lega Pro to fill the vacancies. ^ Teramo was stripped the promotion due to match fixing. ^ Grosseto was deducted 1 point due to financial irregularities. ^ Pro Piacenza was deducted 8 points for having fielded a disqualified player throughout the previous season. The penalty was later reduced to 5. ^ Savona was deducted 2 points for financial irregularities. ^ Foggia was deducted 1 point due to financial irregularities. ^ Melfi was deducted 2 point due to financial irregularities. ^ Barletta was deducted 1 point and additional 5 points due to financial irregularities. At the end of season a phoenix was admitted to Eccellenza due to bankruptcy of the original club. ^ Aversa Normanna was deducted 1 point due to financial irregularities. ^ Ischia was deducted 1 point due to financial irregularities. ^ Reggina was deducted 1 point due to financial irregularities. At the end of season a phoenix was admitted to Serie D due to bankruptcy of the original club. Semifinals on 24 and 31 May 2015, finals on 7 and 14 June 2015. Como promoted to Serie B. First legs on 23 May 2015 (Reggina-Messina on 26 May), return legs on 30 May 2015. ^ "Accolti i ricorsi di Brescia,Varese e sei club di Lega Pro. Ok alla bomboletta spray" (in Italian). FIGC. 18 July 2014. Retrieved 19 July 2014. ^ a b "Novara e Reggina tornano a sperare: restituiti loro 5 e 10 punti" (in Italian). Gazzetta.it. 28 April 2015. Retrieved 12 May 2015. ^ a b c d "Comunicato N° 27TFN (Sezione Disciplinare) del 20/01/2015" (PDF) (in Italian). FIGC. 20 January 2015. Archived from the original (PDF) on 1 February 2015. Retrieved 8 February 2015. ^ "Mantova, altri due punti di penalizzazione" (in Italian). La Gazzatta di Mantova. 16 February 2015. Retrieved 12 May 2015. ^ "Monza penalizzato di 4 punti e fallimento più vicino. E Galliani? Osserva…" (in Italian). MBNews. 14 April 2015. Retrieved 12 May 2015. ^ "Comunicato N° 18TFN (Sezione Disciplinare) del 01/12/2014" (PDF) (in Italian). FIGC. 11 January 2015. Retrieved 11 January 2015. ^ "Calcioscommesse, ecco tutte le decisioni del Tribunale Federale Nazionale" (in Italian). tuttolegapro.com. 20 August 2015. Retrieved 20 August 2015. ^ "Il Tnas non fa sconti: confermati gli otto punti di penalità al Pro Piacenza" (in Italian). Piacenza24. 31 July 2014. Retrieved 8 August 2014. ^ "Lega Pro, il Coni restituisce tre punti alla Pro Piacenza: cambiano i playout" (in Italian). Gazzetta.it. 20 May 2015. Retrieved 23 May 2015. ^ a b "Lega Pro: penalizzazioni per Monza, Savona e Aversa" (in Italian). Calciomercato.com. 14 April 2015. Retrieved 13 May 2015. ^ "Comunicato Ufficiale N.89/CDN (2013/2014)" (PDF) (in Italian). FIGC. 20 June 2014. Archived from the original (PDF) on 24 September 2015. Retrieved 30 August 2014. ^ "TFN: due punti di penalizzazione al Melfi, uno per Grosseto, Mantova e Pavia" (in Italian). FIGC. 20 January 2015. Retrieved 13 May 2015. ^ a b c "Lega Pro: arrivano le penalizzazioni per Barletta, Ischia e Savoia" (in Italian). Strettoweb.com. 9 April 2015. Retrieved 13 May 2015. ^ Collegio di Garanzia (21 May 2015). "Ridotta a 1 punto la penalizzazione della Reggina Calcio" (in Italian). Italian National Olympic Committee. Retrieved 24 May 2015. ^ "COMUNICATO UFFICIALE N. 49/TFN – Sezione Disciplinare (2014/2015)" (PDF) (in Italian). 28 April 2015. Retrieved 24 May 2015. ^ Garofalo, Marco (27 March 2015). "REGGINA NUOVA PENALIZZAZIONE. 3 PUNTI PER MANCATI PAGAMENTI E RITARDI NELLA PRESENTAZIONE DELLA FIDEJUSSIONE". QuiCosenza. Retrieved 24 May 2015. ^ "COMUNICATO UFFICIALE N. 46/TFN – Sezione Disciplinare (2014/2015)" (PDF) (in Italian). 9 April 2015. Archived from the original (PDF) on 21 April 2015. Retrieved 24 May 2015. This page was last edited on 20 April 2019, at 19:11 (UTC).